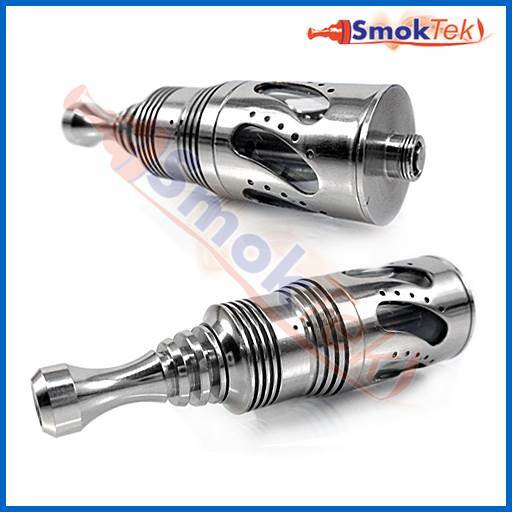 The Steam Turbine by Tobeco is a beautiful, all stainless steel, 510 connection, rebuildable genesis style atomizer. 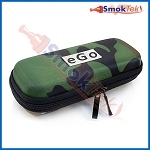 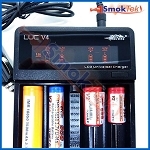 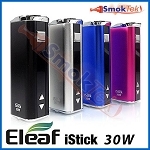 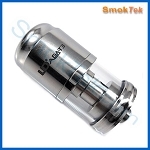 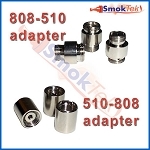 It has single/dual coil and U-Wick build capabilities. 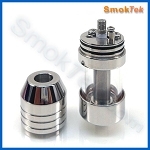 It can be built with either stainless steel mesh or silica wick.The pyrex glass tank can hold up to 3ml of e-liquid. 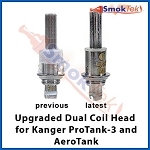 The Steam Turbine is completely sealed at the connector. 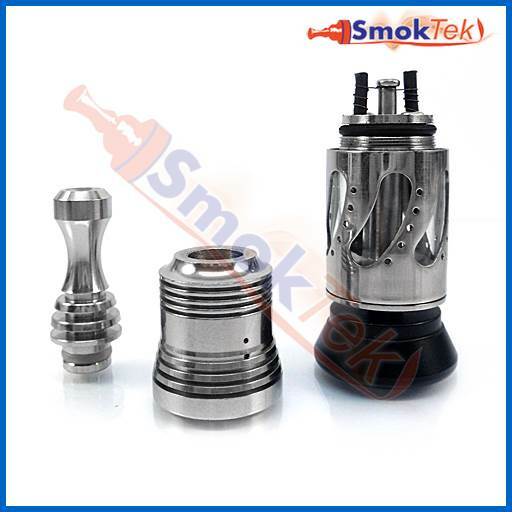 The Steam Turbine is very easy to disassemble as you simply grip the connector threads and pull off the cover which is sealed and kept in place by three screws. 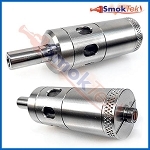 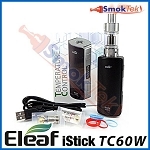 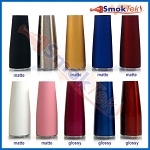 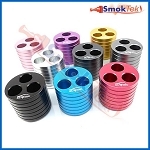 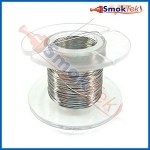 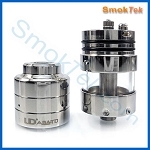 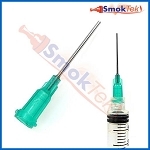 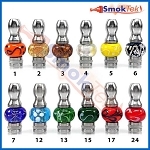 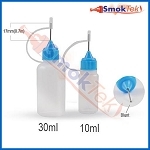 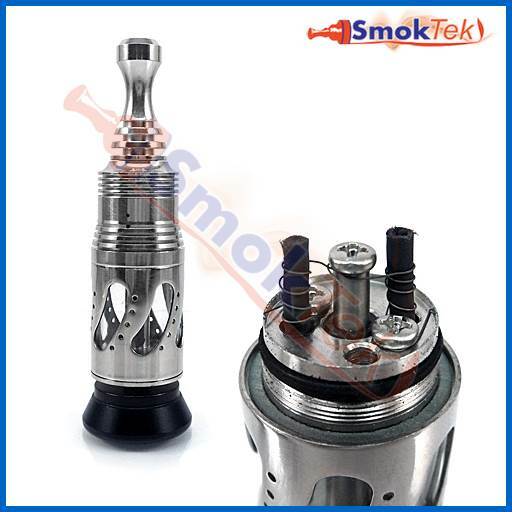 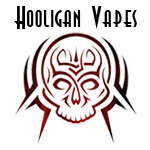 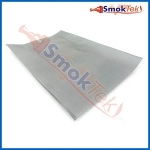 The Steam Turbine comes with a drip tip and pre-installed wick and coil. 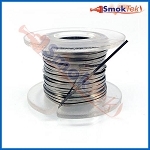 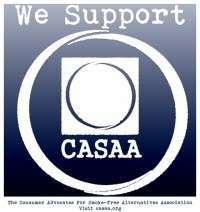 You will also receive a packet containing extra wire, mesh, and a spare o-ring.